The Band that “Buzz” built: Dr. John “Buzz” Jones to retire after 28 years | The Gettysburgian. When Dr. John “Buzz” Jones of Gettysburg College’s Sunderman Conservatory of Music announced his forthcoming retirement earlier this year, students were quick to express their love for the professor and discuss his positive impact on their experiences in the music program. 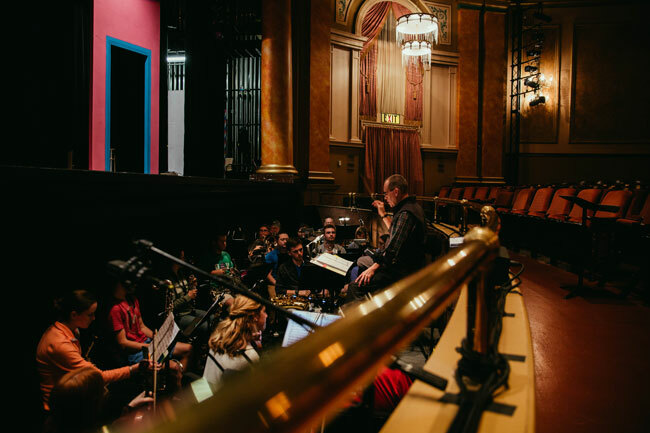 Jones, who has been with the college since 1989, was instrumental in resurrecting the program and shaping it into what it is today: an accredited conservatory with hundreds of students participating in some way. Jones has taught over a dozen courses in his time at Gettysburg, including four levels of music theory and aural skills, composition, jazz arranging, form and analysis, orchestration, and a first-year seminar entitled “Why Jazz Matters: The Legacy of Pops, Duke, and Miles.” In addition, he has directed the Symphony Band, Wind Symphony, Pit Orchestra, Jazz Ensemble, and Bullets Marching Band, and was both the chair of the music department and director of the conservatory. In an interview, Jones explained how, as a professor at Gettysburg for over 25 years, he has been witness to the music program’s significant growth in size and national reputation. Since the establishment of the conservatory in 2005, the number of full-time faculty has nearly doubled and the number of adjunct instructors has surpassed twenty. Additionally, there are now over 80 music majors and 50 music minors and there is a much greater presence of chamber ensembles mixed in with larger groups like the wind symphony. Of course, Jones said, issues can arise from such exponential growth. Schmucker Hall has remained the home of the music program for decades despite being designed for a much smaller department.. This problem aside, Jones is incredibly pleased with the expansion of the music program, especially because of how different things were when he first came to Gettysburg. As Jones reminisced about memorable moments from his career (of which he has many), one that stuck out is his first Bullets Marching Band performance as director in 1989; the band only had 36 members. He described to a heavy rainstorm that turned the football field into a muddy mess … accordingly, the performance suffered. However, shortly after the performance, the college’s president at the time invited Jones and the entire band to his house for dinner. Not only did this lift their spirits, but it proved to Jones that the administration supported the music program and was invested in its future. Within a decade, the band grew to 100 members and played their first festival performance at Allentown in 1998. Jones later reflected on how Gettysburg College changed him. He explained how one of the most fulfilling practices a music educator can adopt is the art of listening to others. Being a professor at Gettysburg has allowed him to become a better listener, towards both his students and fellow faculty – this has helped him grow as an educator and a person. He is thankful Gettysburg took a chance on hiring him. At the time, he was enrolled in a Doctor of Musical Arts program at Temple University after working in the Maryland public schools, and was essentially tasked with restoring the college’s band program and revitalizing the jazz ensemble. 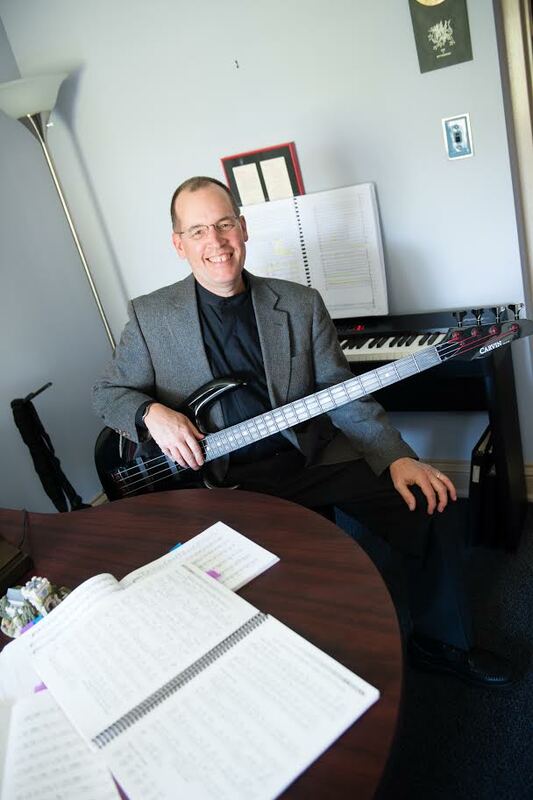 He is also thankful that the college has provided him with ample resources to teach and pursue his musical passions (including sabbatical leaves during which he composed three large-scale works). Jones, the leader of the Buzz Jones Big Band, is an expert in jazz music. He pointed out that jazz is unique in that it is very much rooted in improvisation, and, just like teaching and life in general, it keeps you on your toes. One must have the ability to improvise in all aspects of life, even in the classroom. This is what makes jazz special: it is where music and the world outside of music intertwine, he said. Some of Jones’ plans in retirement are similar to those of most retirees: he would like to travel with his wife (future destinations include London and the Baltic states), golf, hike, visit his children more often, and attend more events in the local area. He also expressed interest in partaking in community service, like working at the Gettysburg soup kitchen. And, Gettysburg students, fear not! Jones says it is likely you will be able to see him around on campus from time to time, because he wants to stay connected to the happenings within the college music program. It is clear that Jones has had a lasting impact on the Gettysburg College music program, from its days as a department to its current conservatory status. One needs only to take a walk through Schmucker Hall, where student musicians mingle in the lobby, passionate professors work with students on a variety of musical subjects, and the sounds of ensemble rehearsals echo through the hallways, to realize just how palpable the influence and enduring the legacy of Dr. Buzz Jones and his decades of work towards the music program already is today. Jeremy Porter '20, who hails from from Belle Mead, New Jersey, is a staff writer for the Gettysburgian. He is majoring in history and minoring in music and French. Jeremy plays the French horn with the college's wind symphony and symphony orchestra, and is a member of the Bullets Marching Band. His favorite spot on campus is the Musselman Library porch, looking out onto Pennsylvania and Glatfelter Halls. An avid baseball fan, he dreams of someday visiting every Major League Baseball stadium.